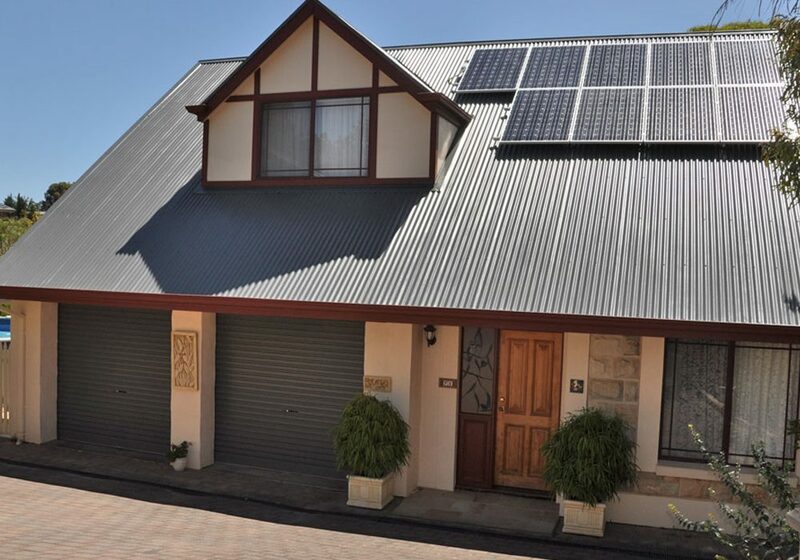 Roof replacements in Adelaide come in different types of materials. 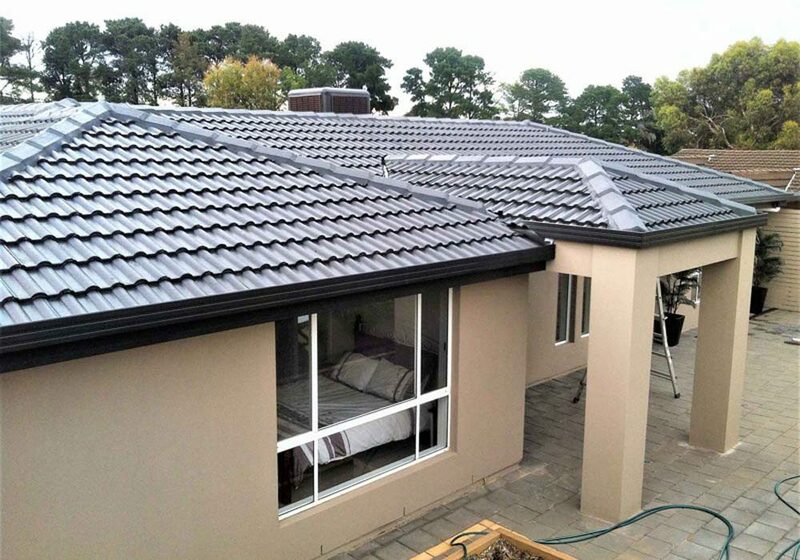 The most popular materials used in roof replacements are Colorbond, Metal, or Tiles. 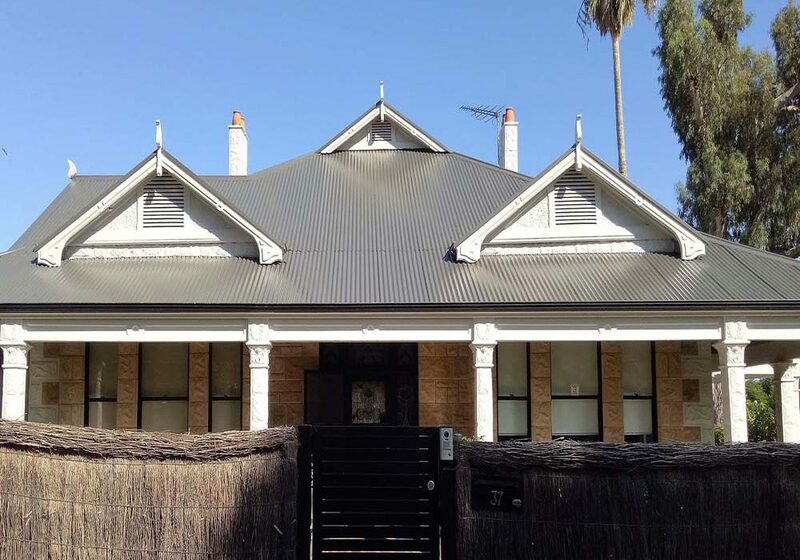 Some older homes may have asbestos roofing, which we recommend having professionally removed by a licensed asbestos roof replacement company, like Roof & Render SA. . In the following sections, we’ll consider the wide variety of roofing materials that are available to you. Whilst there are many types to choose from, and each its own unique selling points. 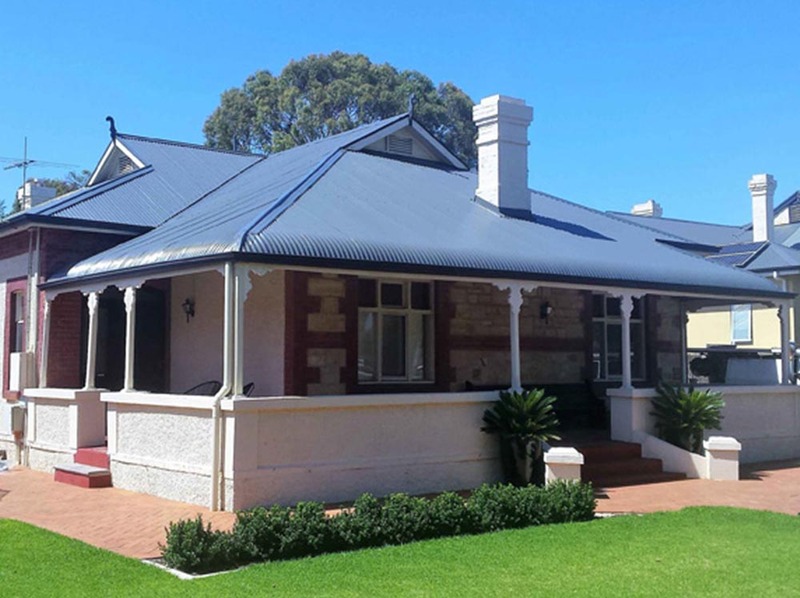 Colorbond roofing is one of the most popular options, and is also best material to work with for several reasons. 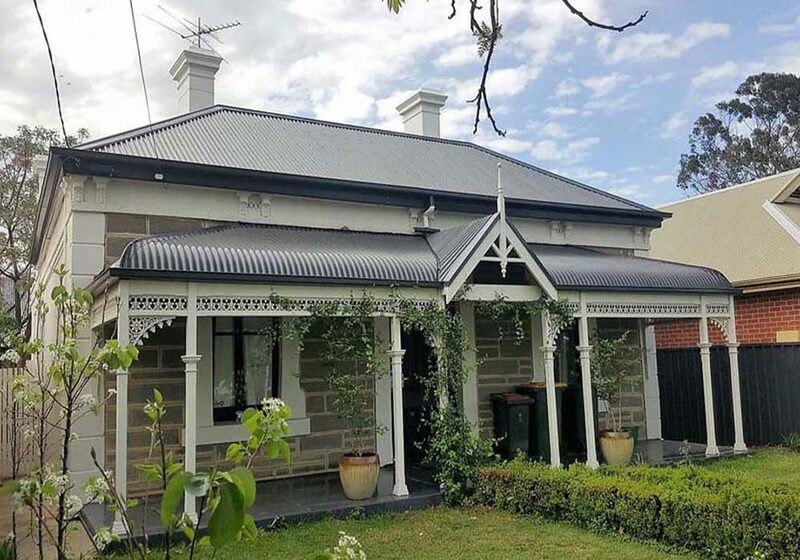 It’s lightweight – since Colorbond roofing comes in long sheets, the weight is distributed across a wider area which means unlike tiled roofs, your underlying structure won’t have to be reinforced to support additional weight. This also makes it easier to work. It doesn’t crack – picture this, having to climb up on your roof only to hear a gut wrenching *crunch*, which likely means your roof tile(s) have cracked. 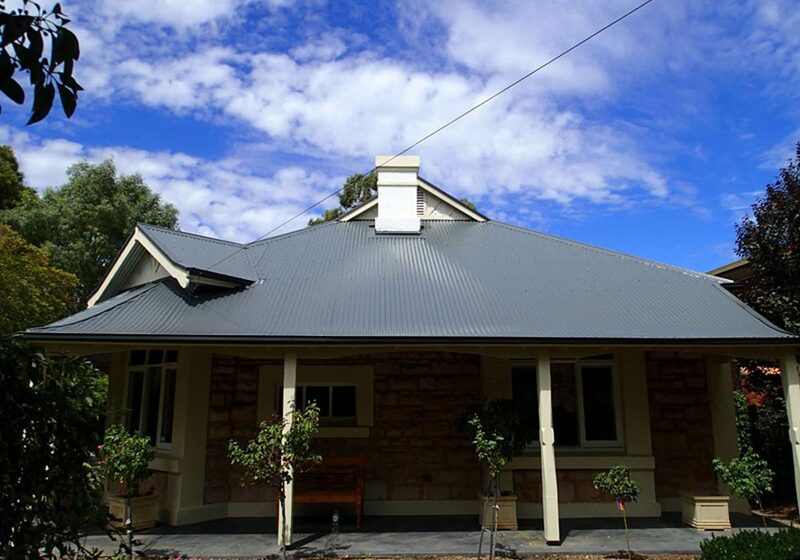 Unlike terracotta roof tiles, Colorbond is made of treated zinc-aluminium that won’t crack when stepped on. It’s stylish – your home is an extension of your personality and style. 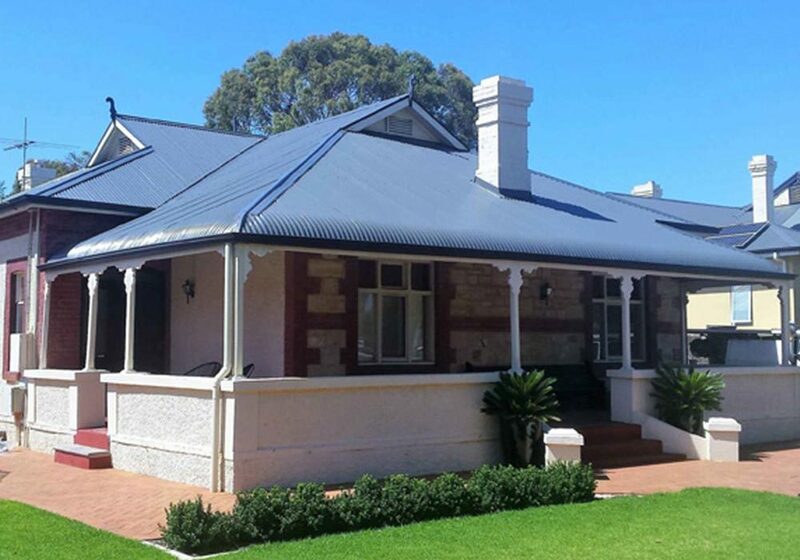 If you really want to make your house a home, Colorbond roofing comes in over 20 different colours to choose from. It’s durable – by now you can probably see we’re a bit biased toward Colorbond roofing, but for good reason. The average melting point of steel higher than molten lava, or even fiercest bushfire. 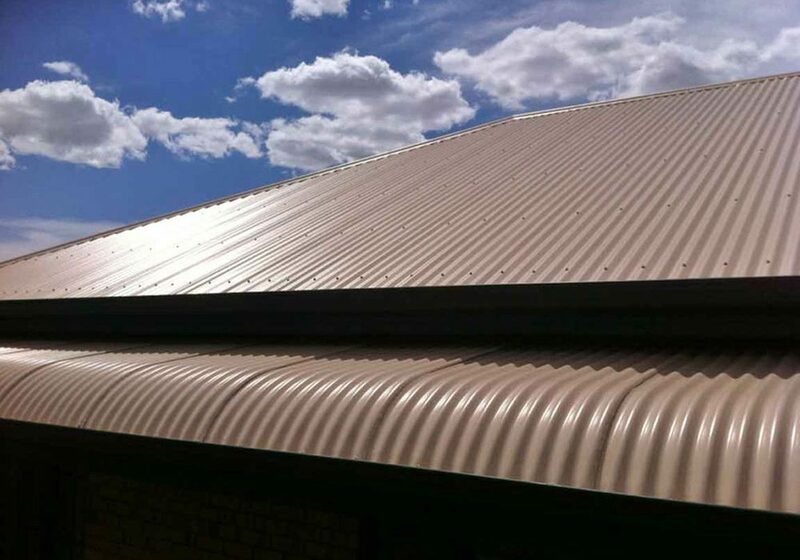 Not only do we install Colorbond roofing with a special fire retardant under layer, but your new roof will also shrug off lightning strikes. They’re solid – a metal roof provides solid hail protection and impact resistance at a competitive price. 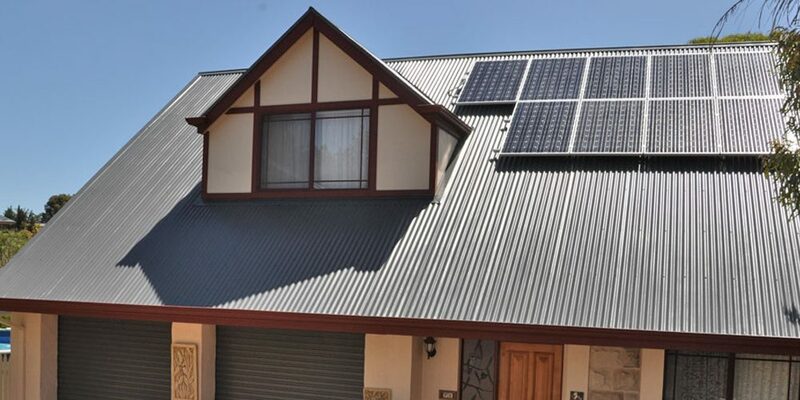 It’s insulated – metal roofing has changed a lot over the last few decades and now provides improved insulation with sun reflective coating. It’s environmentally friendly – metal roofing can be made of anywhere between 25% to 95% recycled materials, and is 100% recyclable at the end of its life span. Tiled roofing provides a classic, yet dated appearance. 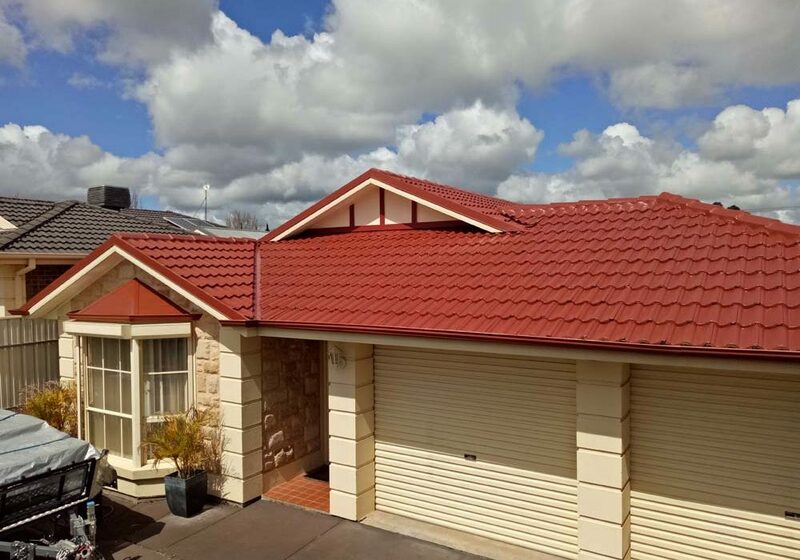 Unlike Colorbond roofing, you do not have over 20 colours to choose from – which eventually can undermine the resale value of your home. Tiled roofing lasts over fifty years, but costs more to repair than metal roofing. In fact, over their lifespan, repairs end up costing more than the initial cost of metal roofing. Tiles are brittle and are prone to cracking. They may even become dislodged by high winds and turn into potent missiles. They are a breeding ground for moss – Mother Nature is anything if not persistent. If your roof is tree shaded and facing north, moss will quickly spread and fill in gaps between shingles and tiles. Over time, this will heave up shingles and allow rainwater and moisture to penetrate and cause decay. 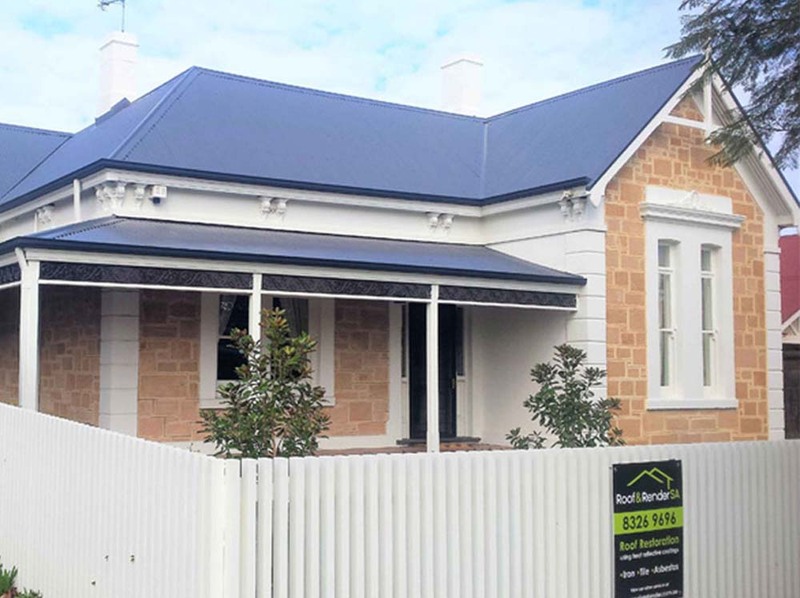 At Roof & Render SA, we have over 98 years of experience, and believe that quality should never be sacrificed for cost. If you’re worried about the cost of a new roof, you can get started from as little as $75 per week. We offer unmatched expertise that is sure to leave you extremely satisfied with your roof replacement. This principle applies to most things in life, including roof replacements. If you’re reading this right now, chances are your roof may have seen better days and you’re wondering how to pay for a new roof. Whilst you can take measures to save costs, such as using less expensive materials, the long term costs often outweigh the short term benefits. With roofing, it’s important not to skip out on quality; otherwise you will end up paying for it later down the road. We understand the situation you may be fine – it’s a big ask to build a new roof for most families, and not everyone has thousands of dollars lying around. Often times, a roof replacement is an unexpected expense, and necessity. After all, without a solid roof over your head, your contents, family, and largest asset are exposed to the elements. This begs the question – how can I finance my roof? After 98 years of business, we have met South Australia families that find themselves asking this question. Often times, they are in desperate need of a roof replacement and are worried about the initial outlay. If you find yourself in this situation, don’t worry. We’ve got you covered. We’ve made applying for roof replacement financing easy. For as little as $75 per week, you can have a new roof built that will last a lifetime. We strongly believe that you should never have to sacrifice quality for cost, especially when your home is on the line. To get started, all you have to do is provide your basic details to take advantage of our special fixed rate of 9.99%. Applying for roof replacement financing will not affect your credit score and you are under no obligation to take out a loan. What’s even better is you’ll receive a discounted interest rate versus the comparison rate of 10.79% assuming a 7 year loan period. There are absolutely no hidden fees – this means no monthly account keeping fees, no exit fees, and no early repayment fees. Managing your roof replacement finance loan is also easier than ever. No more messy paper trails – you can manage everything online, set your repayment schedule (weekly, fortnightly, or monthly) and choose a fixed repayment period between 1 to 7 years. We’ve teamed up with our partner OurMoneyMarket to provide pre-approved home improvement finance. All you need to do is a book a consultation with us safe in knowledge that you have the funds you need. If you’ve been putting off a roof replacement, now is the best time to start. 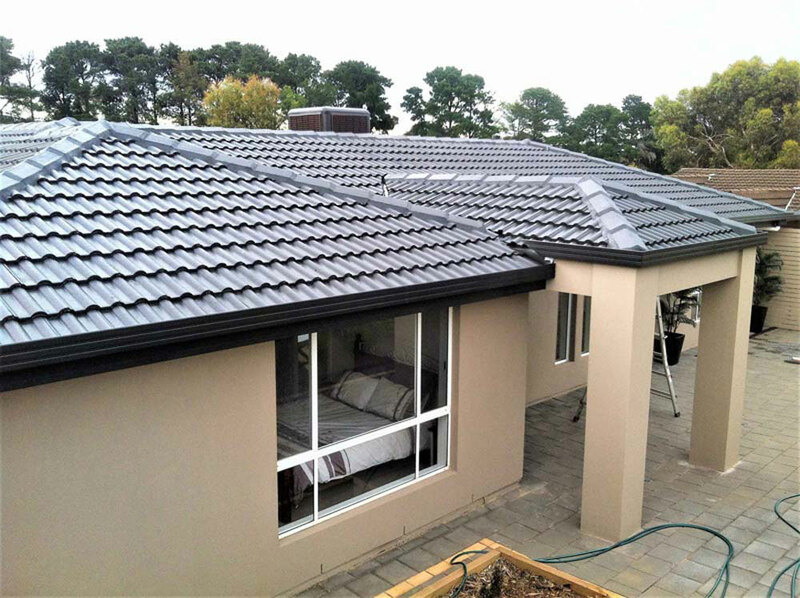 5 Reasons To Consider a Roof Replacement by Roof & Render SA, Adelaide’s #1 Roof Replacement Company. 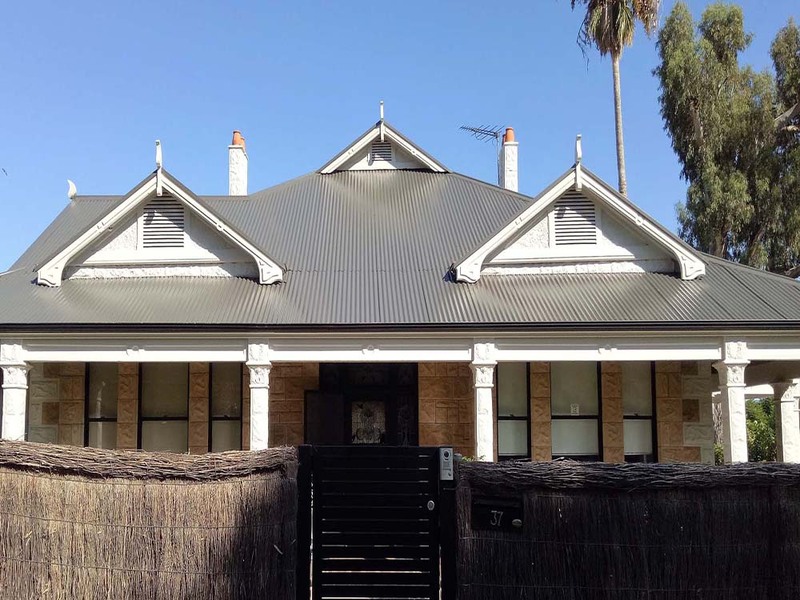 You should consider a metal roof replacement if the roof on your house in Adelaide is showing its age. If you’re reading this, chances are your old concrete tile or asbestos roof has seen better days, and you may be considering a roof replacement. 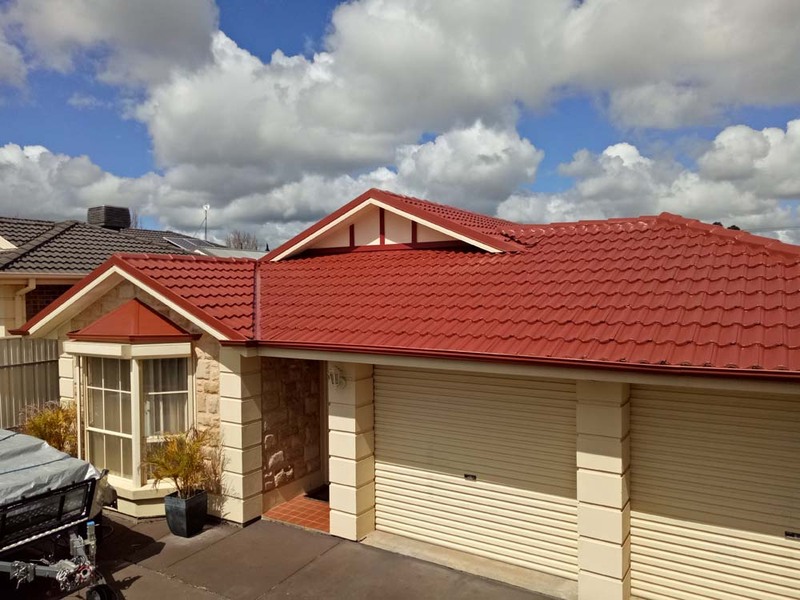 Get a free roofing quote and replace your old roof in Adelaide today by contacting South Australia’s leading roof replacement contractors. You’ll even be pre-approved for finance. If you’re still on the fence, here are five reasons why you should consider a roof replacement. 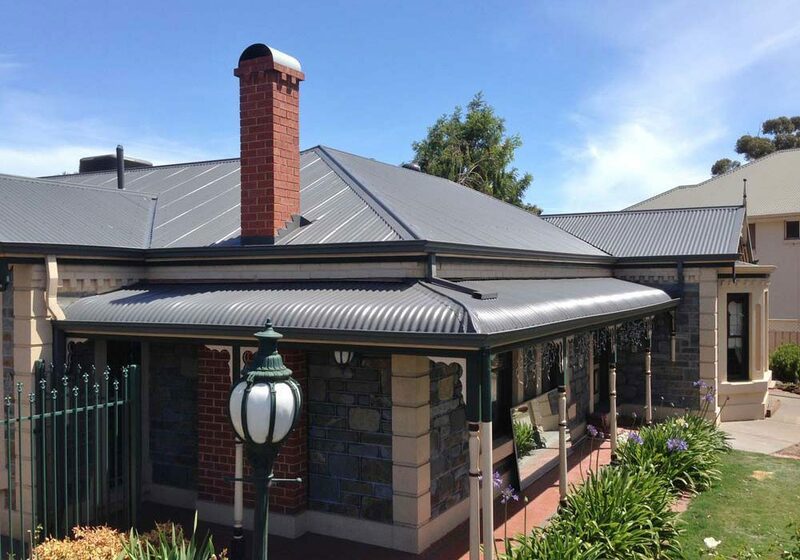 Colorbond metal roofing in Adelaide can be supplied in a variety of natural and contemporary colours. 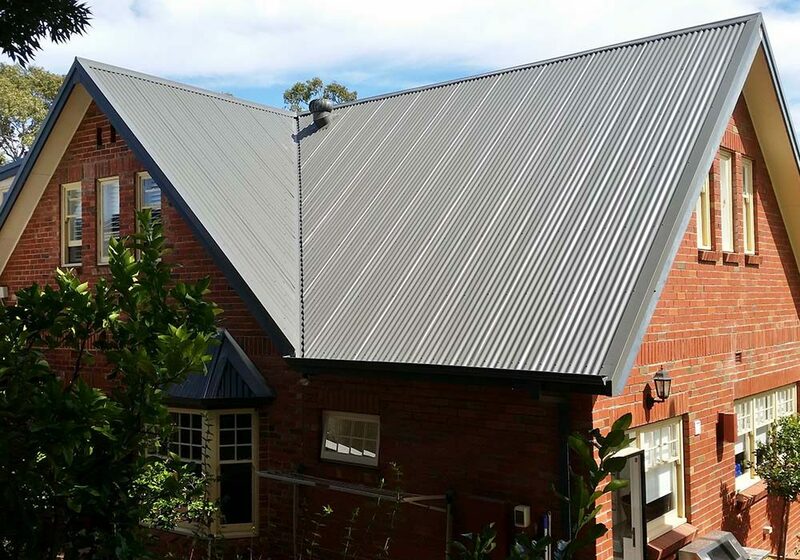 Metal roofing is far better than concrete tiles which quickly fade and become discoloured by weathering. 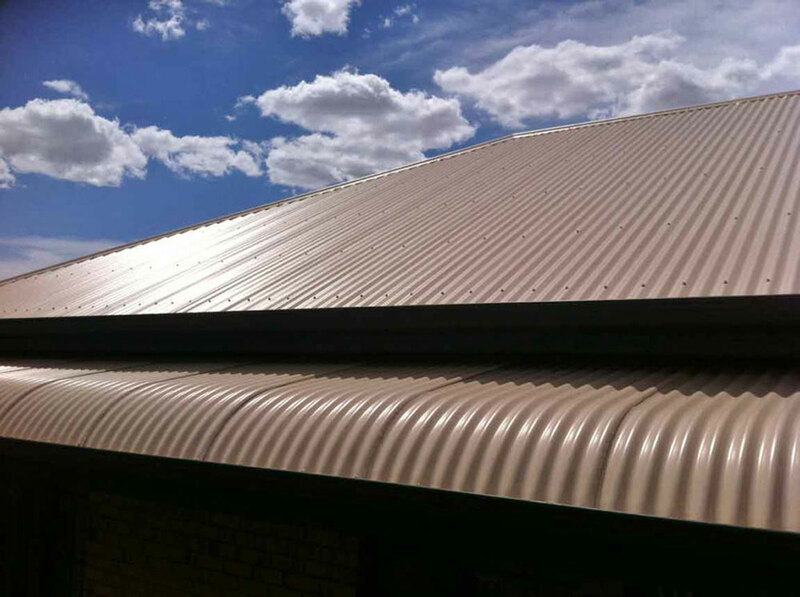 A Colorbond roof will retain its colour for many years to come. Plus, all our roof replacements also come with a 10 year workmanship warranty. When we start work on your roof, we treat your home as though it were our own. 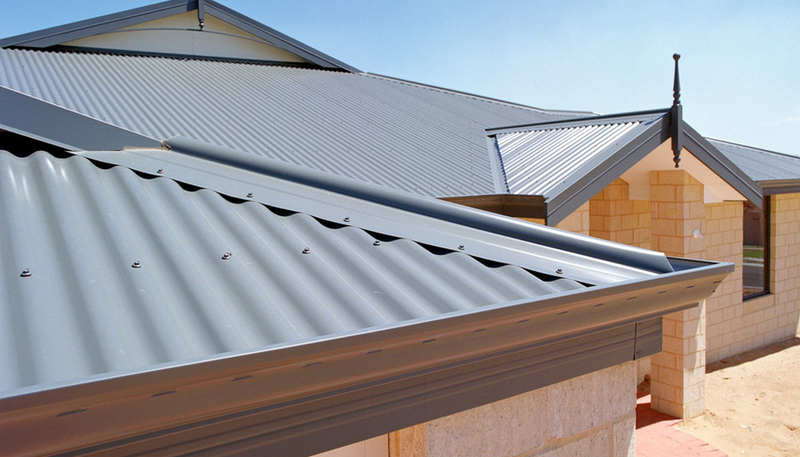 Metal roofing not only lasts longer, but it’s also quicker to install. This is because metal roofing comes in large panels or sheets. Whilst tiled roofing materials are heavy and fragile, metal roof replacement materials are lightweight, assemble quicker and hassle-free. Think about it, roof tiles fit together like pieces of a puzzle, which means your roofing contractor needs to be on-site for longer, fitting each piece together. Further, structural reinforcement to your property may be needed to support the heavy weight of a concrete tile roof. 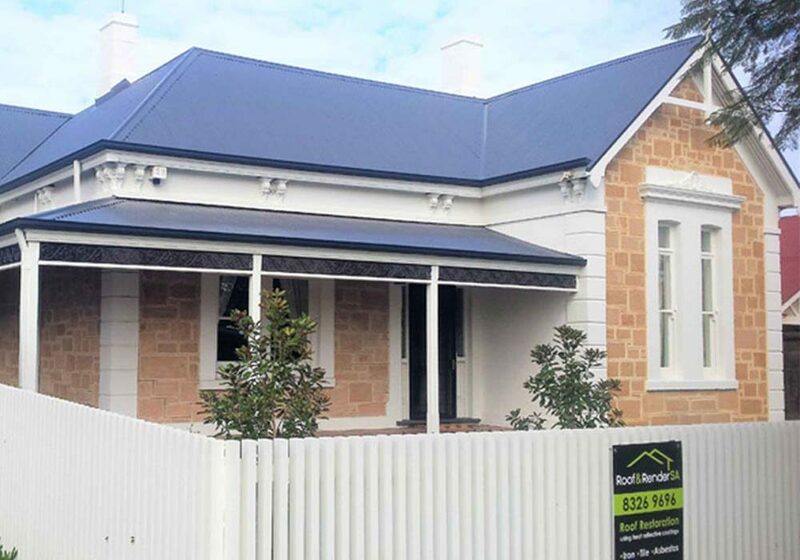 That’s why it’s a smart choice to choose a Colorbond roof replacement for your home in Adelaide. 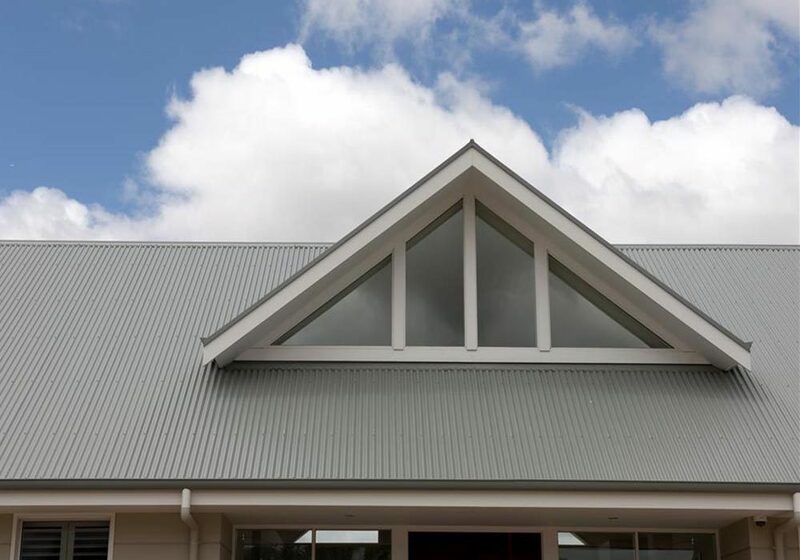 Metal roofing provides better protection from fire, especially if you live in a bushfire prone area. In the event of a bushfire or lightning strike, a metal roof will not catch fire or melt. Instead, burning debris slides off your sloped metal roof, instead of falling into your home. Our metal roofing includes a fire retardant under-layer that prevents embers from blowing under your roof and into your attic. While concrete tiles may be fire retardant, they often crack under excessive heat which leaves your roof space exposed. With over 97 years of roofing experience, we’ve seen it all, and one sight we’re all too familiar with is moss growing on tiled roofs. Moss spores readily colonize tiled roof surfaces, and grow into a thick green carpet that retains rainwater. Eventually, moss will find its way under roof tiles, and this lets water into your roof space where it becomes damp. However, a metal roof replacement provides a slick surface that prevents invasive vegetation from growing. If you’d like to avoid time-consuming moss removal, and keep your roof space dry, we strongly recommend a metal roof replacement. 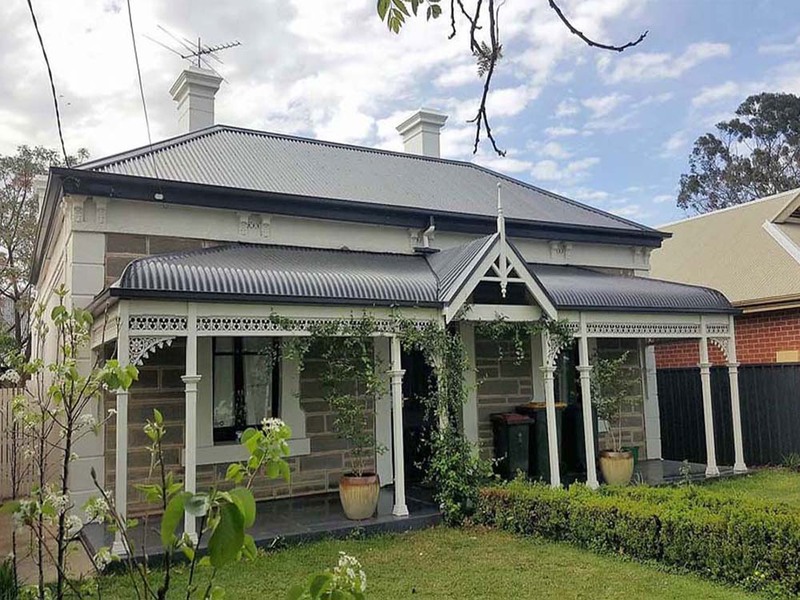 Investing in a new roof for your Adelaide home is considerable investment. Therefore, it’s crucial that your choice material is built to last. 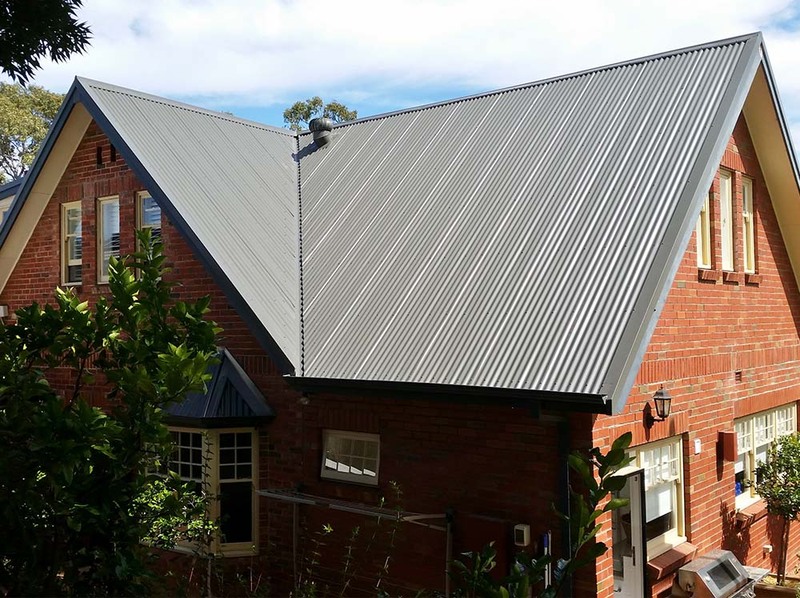 A metal roof replacement is guaranteed to greatly out-last a tiled roof. Generally, a metal roof will last about seventy years, whereas a tile roof will be lucky to last fifty years. Another great reason to consider a metal roof replacement is that metal roofing won’t crack, won’t corrode, and can withstand winds up to 220 km/h. Not even the worst hail-storms can penetrate your metal roof, whereas concrete tiles are may crack or become dislodged by high winds. Start the New Year with a new roof and contact Adelaide’s most experienced roofing company today for a free roofing quote. If you have a tiled roof that needs repairs, you’ll want to read this. 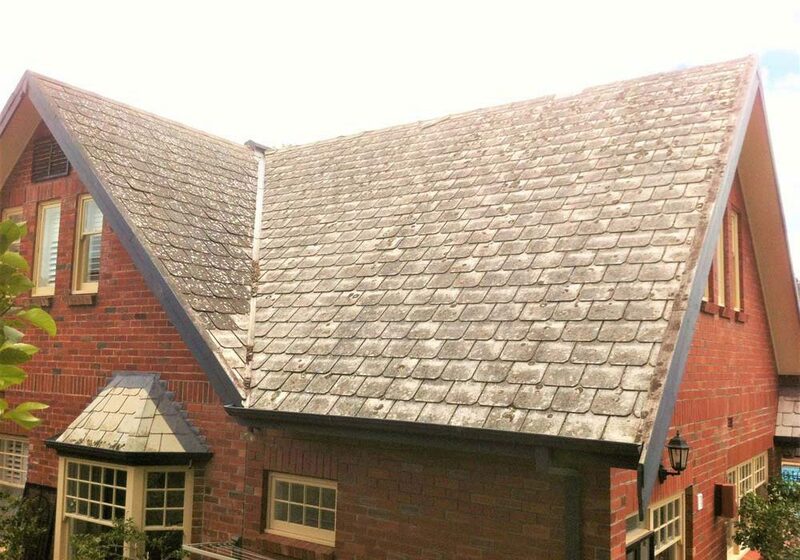 Do you restore your roof or replace it?